Western esotericism is often seen as a sideline curiosity or footnote to history--at best an early, failed attempt at science. It also tends to be cast in an oppositional role to mainstream religious denominations and movements. I argue--following Dame Francis Yates--that this is not the case, and that the Western Esoteric Tradition has, for better or worse, been central to the development of European, English, and American spirituality, geopolitics, and empire. 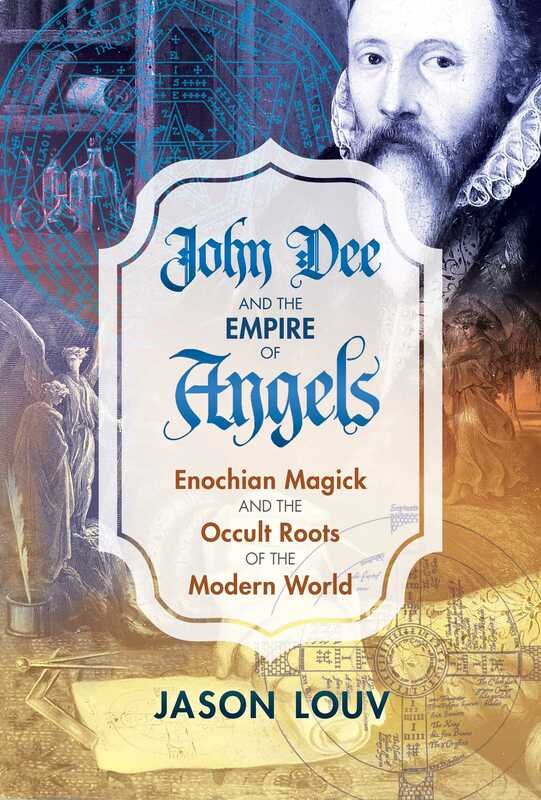 Further, it is my contention that the angelic system of John Dee and Edward Kelly has been the central core of the Western Esoteric Tradition in its post-Renaissance form and has been at the heart of Rosicrucianism, Scottish Rite Freemasonry, the Golden Dawn, and Thelema--and, through Thelema, of modern occultural movements like Satanism and witchcraft. These religious subcultures, in the final summation, do not exist in opposition to mainstream Protestantism but are, instead, its esoteric component--in some cases affirming and upholding its theology by acting as its shadow. Therefore, Dee and Kelly’s system has played an invisible but central role in the last five hundred years of Western history. However, I must distinctly resist any conspiratorial read of this history. The Western Esoteric Tradition has mostly been only sporadically organized, with groups often working in isolation from or even at cross purposes to each other; one would struggle to find core dogmas for the Western tradition, as its ideals and praxis shift significantly between groups and individual practitioners. Even when it does involve large organized groups, like Freemasonry, the history of the Western tradition is still less one of group efforts, let alone large-scale religious revivals, as it is of ideas passing between individual or small collectives of intellectuals, often at a distance of centuries. These thinkers--such as Dee, Newton, Crowley, and many more--have in turn exercised massive influence on the wider culture, often in oblique and non-intuitive ways. A useful and not altogether unconnected parallel can be drawn with Western philosophers like Kant, Nietzsche, and Schopenhauer, who often lived marginal, secluded, and outwardly even feeble lives, yet whose intellectual work caused irreversible and undeniable sea changes in Western civilization, often after their deaths. These changes were not effected by organized conspiracies but by the power of new ideas to rapidly spread between minds and upend entire cultures in the process. So with that said, what is the Western Esoteric Tradition, other than a catch phrase denoting the occult thinkers and fraternities that have sprouted up throughout European history? All religions have an exoteric shell--a system of rules and dogmas for lay people--along with smaller inner esoteric groups focused on mysticism, individual experimentation with spiritual techniques, and, very often, apocalypticism.67 Examples include the tantric schools of Hinduism and Buddhism, the Holy Orders in Catholicism, the Kabbalists in Judaism, the Sufi schools of Islam, and many more. Though Protestantism in its many varieties is only five hundred years old, it is, of course, no different. Esoteric Protestant groups like the Rosicrucians, Freemasonry, the Golden Dawn, and, indeed, the collective of scientists that became the Royal Society are the esoteric core of Protestantism. As will be discussed, the primary formulation of this tradition can be traced to the sack of Constantinople and the transfer of Byzantine manuscripts containing material from ancient Greece and Rome to the Medici city states. Here, the spiritual ideas of the ancient, pre-Christian world were revived as Renaissance Hermeticism and Neoplatonism, mixing with teachings on the Kabbalah from Europe’s Jews. This amalgam was in turn formulated into a system of “operative magic” by the Benedictine abbot Trithemius and his student Cornelius Agrippa. While Luther had proposed a break with Rome, and Henry VIII actualized it in England, Dee created the plan for global Protestant victory over the Church--a worldwide Empire of Angels, with Elizabeth I, not the Pope, as its spiritual and political head. Such a global Protestant hegemony would pave the way toward the Second Coming, and central to actualizing this plan was Dee’s angelic system of magic.